A very tight location for photography, but it was just possible at Appleford (between Oxford and Didcot) to get a picture of southbound trains passing the signal box. On 12 September 1985, 58022 heads for Didcot Power Station with another load of coal from the Midlands. 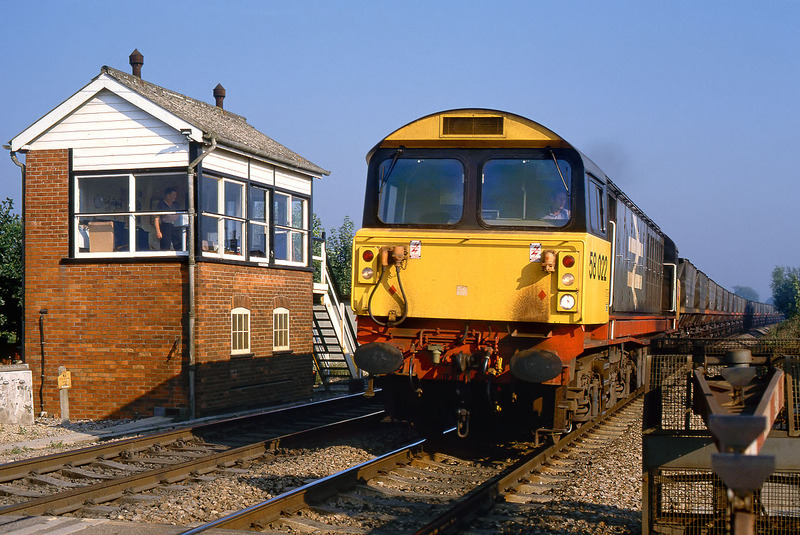 Unfortunately it is no longer possible to replicate this picture, as not only are there no Class 58s on the national network, but the signal box has been demolished as well.